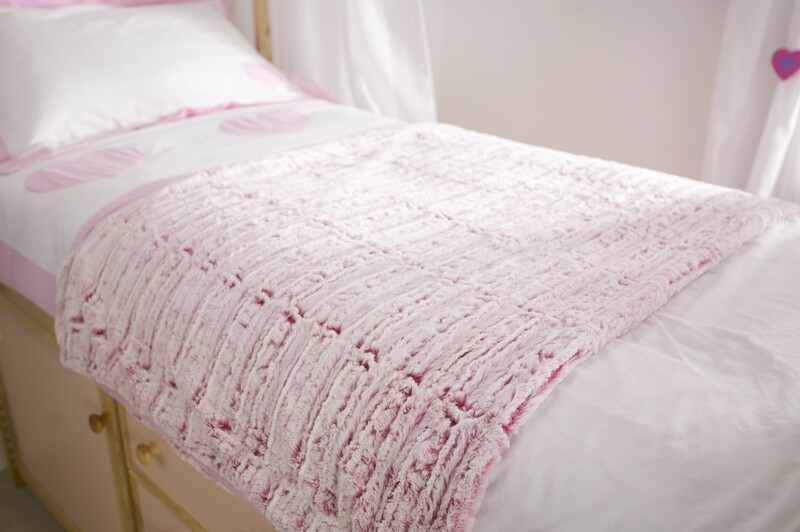 A gorgeous luxurious faux fur throw, perfect for girl's bedrooms. This pink furry quilt is extremely soft and co-ordinates with the pink fur heart cushion that is also available to match. Bpth of these adorable items add texture and colour to a kids bed.